1 litre container of chainsaw oil with anti-fling additive. Maxol chainsaw oil is specially formulated for use in all types of chainsaws. This oil is produced using top grade mineral base stocks combined with special anti-fling and thickness additives. 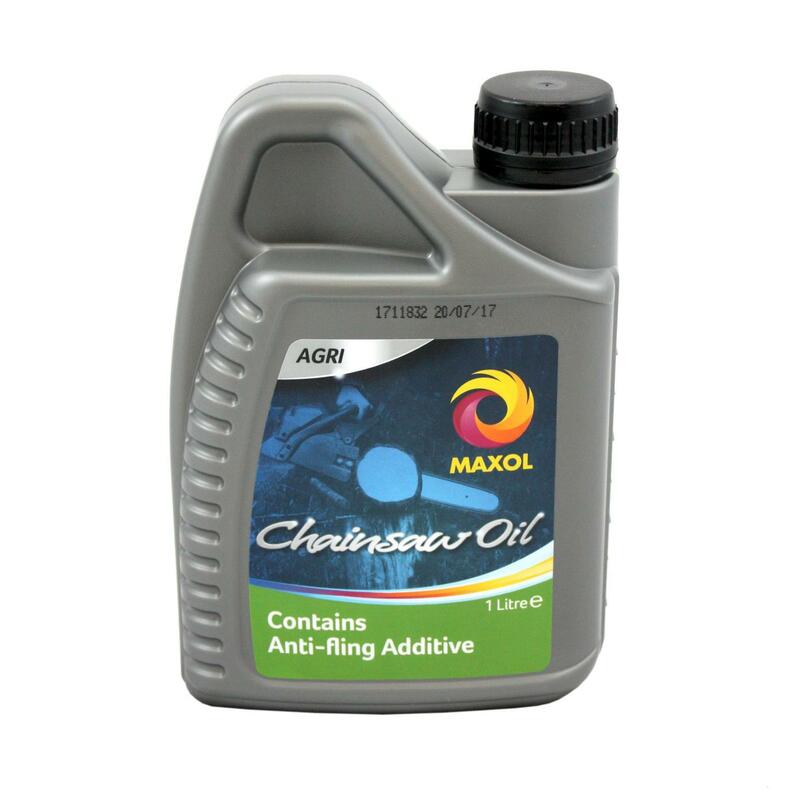 Maxol chainsaw oil is suitable for all chainsaw models having either auto or manual chain oiling. - Specifically formulated to lubricate the chain of chainsaws. - Prevents overheating and loss of strength. - High level of tackiness which prevents oil from flinging from the chain. - Extends the life of cutting bars and chains. Maxol are a market leading brand of oils and lubricants throughout Ireland and the UK so you can be certain you are only receiving the highest quality products.